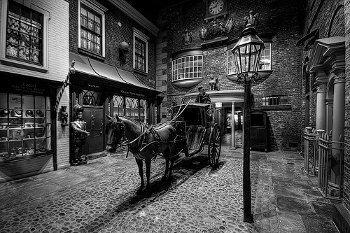 The City of York has gained a reputation as perhaps the most haunted city in England and it is often known somewhat affectionately as ‘the City of 1000 ghosts’. 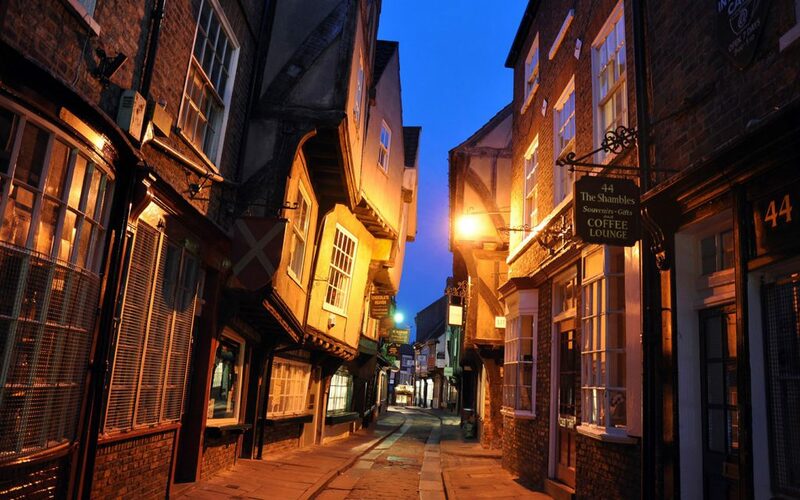 If you pay a visit to the city you will soon see why, there are York ghost stories aplenty! It is incredibly atmospheric and there are historic buildings and landmarks on every corner. Visitors fall in love with the grand architecture and find themselves being drawn into a bygone age. 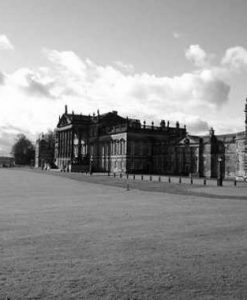 Let’s take a look at some of the most haunted places in York. 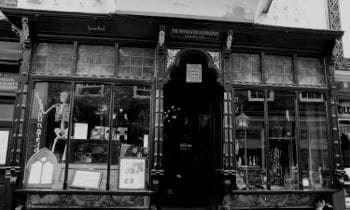 One of the most haunted places in York and home to one of the most infamous York ghost stories is the York Museum. In 1953, the museum caretaker, a Mr Jonas claimed to see a little man that he described as being dressed in Edwardian clothing. This happened shortly after Mr Jonas and his wife had locked up the Museum after closing and returned to their accommodation in the basement. As the pair settled down to relax they heard footsteps in the museum above and Mr Jonas went upstairs to check things out. It was then that he saw the man pacing the floor. Assuming the man had somehow gotten locked inside he approached him and laid a hand on his shoulder at which point he promptly disappeared! On another occasion Mr Jonas was with a colleague, again after the museum was closed and the apparition made another appearance this time witnessed by both men. From time to time new reports surface, but there is no information about who this man might be or why he is hanging around in the museum! Centurion’s Ghost Ale is certainly not the only ghost which has made itself known in the famous York Brewery. The York Brewery & meeting rooms is a labyrinth of rooms dating back to the 18th century. It has a colourful past having once been a morgue and then a vicarage before becoming the brewery! Staff often report hearing heavy footsteps and the table have a habit of moving around by themselves! As if that wasn’t ghostly enough, there is also a somewhat malevolent spirit that stalks the halls. He is tall and thin wearing a tall hat and he makes it clear that he would rather not welcome anyone into what he sees as his building. He very much seems to enjoy shouting and slamming doors as he stomps around the property! As the largest Gothic cathedral in Northern Europe, York Minster is probably one of York’s most famous buildings, it is a breathtaking sight to behold and the current building is believed to date all the way back to 627! 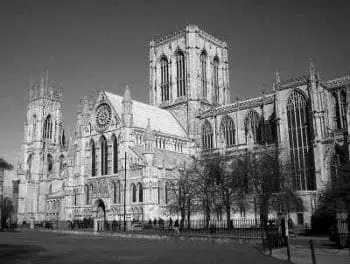 With such a long history behind the building it is not great surprise that York Minster is considered to be one of the most haunted places in York. 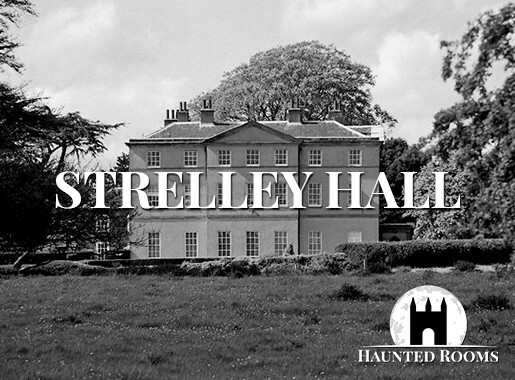 One of the most frequently shared stories of ghostly goings on in this atmospheric structure dates back to the 1820s when two members of a tour group were separated from the crowd and found themselves wandering alone through the building. On their wanderings they encountered a man in a naval uniform. The man approached the ladies and whispered in one of their ears before walking off. The story goes that he was actually the woman’s brother and they had made a pact that whoever died first had to come and tell the other if there really was an afterlife. After dying at sea the brother came back to keep his promise to his sister! Aside from this tale of a secret sibling pact, another spirit said to haunt York Minster is a young man believed to be Dean Gale who died in 1702 aged 26. His ghostly apparition has been reported sitting in the pews and listening to the sermons. The Golden Fleece takes great pride in its reputation as York’s most haunted hostelry, something one bar manager dismissed as nothing but tall tales for the tourists when she was first hired. However, it was not long before she was eating her words! 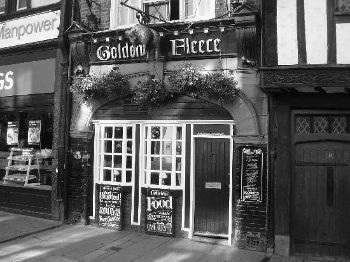 Just some of the things that she saw, heard and felt at The Golden Fleece include an apparition moving across the bar before disappearing into the wall, the sound of footsteps, a bunch of keys rattling and perhaps most chilling of all – an ice cold hand running up her spine! The bar manager is certainly not the only person to have encountered the ghostly inhabitants of The Golden Fleece. In fact, many guests report seeing a ghostly woman roaming the corridors and staircases in the early hours of the morning. Investigators believe that this is the spirit of Lady Alice Peckitt who was the wife of a former Lord Mayor of York who lived next door to The Golden Fleece which was once a coaching inn. Another spirit that is sometimes spotted is that of a Canadian Airman who fell to his death from the upper windows and is now a permanent. Then of course, we could not forget One Eyed Jack who appears in the bottom bar in a 16th century red coat carrying a pistol! These are just some of the many ghosts sighted at The Golden Fleece. 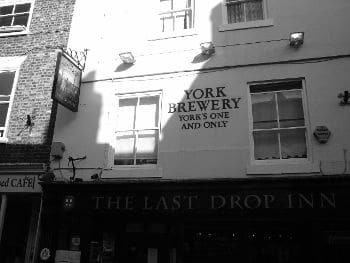 One thing that York is certainly not short on is haunted pubs and ale houses! 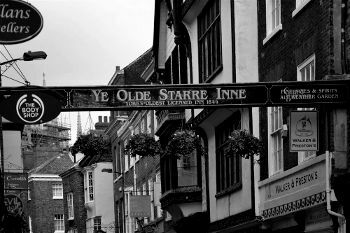 Our tour of the ghosts of York takes us to one of the most notoriously haunted pubs in York, the Ye Olde Starre Inne. This old coaching inn dates back to around 1644, although its cellars are thought to be much older! The cellars are actually the focal point for the hauntings here as many people have reported hearing the screams of Royalist soldiers emanating from there. 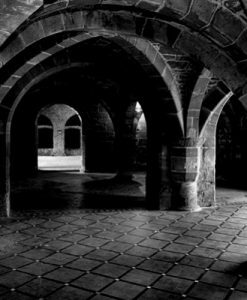 Historical records show that the cellars were used as makeshift hospitals for the soldiers during the English Civil War. 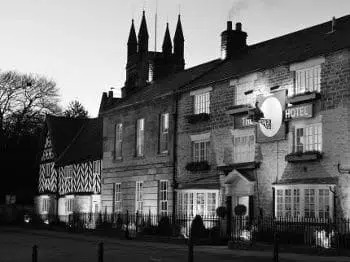 Some of the other paranormal activity linked to Ye Olde Starre Inne includes the old lady dressed in black who is often seen descending the staircase from the upper floors and the two ghostly black cats who are seen around the bar. Local legend states that the cats were bricked up inside a pillar that stands between the door and the bar. There are many reports of visitors bringing their dogs into the bar only for them to growl and snarl at the pillar. One dog even managed to knock himself out rushing at the pillar! The practice of bricking up cats in a building is a superstitious one found all across Yorkshire which is said to protect a building against both fire and ill luck! Our next step on this whirlwind tour of haunted York leads us to The Treasurers’ House, which sets the scene for one of the most famous York Ghosts. It is said that back in 1953 a plumber called Harry Martindale was tasked with installing central heating in the cellars of the building. As he worked he heard the sound of a horn off in the distance. He shrugged it off at first and continued working, but the horn grew louder and louder as if drawing closer. Then, a phantom carthorse suddenly emerged from the cellar wall followed by an entire legion of Roman soldiers who he describes as looking like they had been cut off at the knees. It wasn’t until some time after this event that he discovered that an old Roman road lies underneath the building, a good 15 inches below the cellar floor which is why the soldiers had appeared to be on their knees! Since Harry’s sighting numerous others have seen the Roman soldiers including staff members and other contractors. 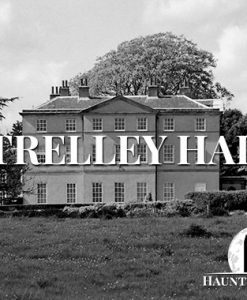 Without a doubt, this location is up there on the list, if not at the top as the most haunted house in York! 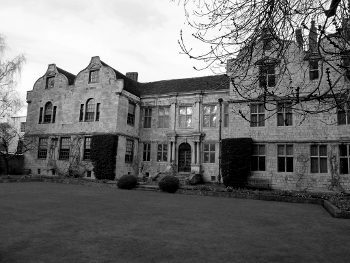 Over the years, 35 Stonegate has been known as York’s most haunted building. It is a building that is soaked in history and it is certainly very atmospheric. The current house was built in 1482 although records show that some form of house has been on the site for at least 1000 years. This house is said to have at least 14 different ghosts, but many believe that there are actually many more! Many of them became active in the late nineties when the property was heavily renovated suggesting that the work stirred them. One of the most documented spirits of 35 Stonegate is known simply as Tom and he seems to occupy the second floor. The Black Swan Hotel is a historic inn that has been transformed into a boutique hotel. It actually consists of 3 different buildings: a black and white timber framed house, a Georgian house and and Elizabethan house. 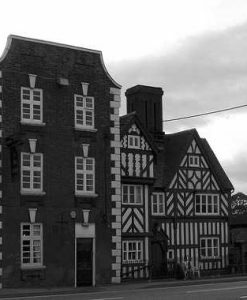 The Elizabethan part is believed to occupy the site where the historic inn has stood for many centuries. Among the notable guests that stayed at the inn was William Wordsworth! The hotel features all of the usual amenities that one might expect from a hotel like this, but with the added bonus of a resident ghost! Staff and guests have both reported seeing a well dressed, older man around the hotel and also the spirit of a young blonde woman as well! There is also a pair of legs with no body attached seen in the private quarter on occasion!